Where are the hidden opportunities? We work with a lot payment companies that primarily target small to medium sized businesses (SMEs). Which is why we know this is a tough market to break into and grow. While there are many traditional methods for finding and marketing to consumers (e.g. google, paid advertising), figuring out how to reach SMEs – especially ones in need of FX services – typically involves massive cold call operations or boots-on-the-ground prospecting. In order to simplify and focus their operations, payments companies often look at major cities and trading hubs. These are the places that are on everyone’s radar. But what about the smaller hubs? 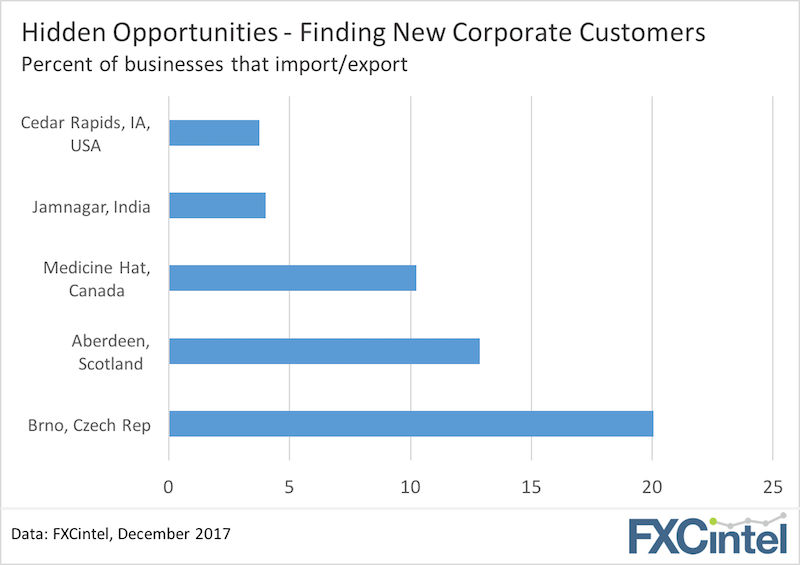 Based on our bottom-up data-mining of hundreds of thousands of individual SME importers and exporters around the globe, we’ve identified some of the best hidden pockets of opportunity. Here’s a very small sample: All of the cities above have high percentages of importers and exporters (compared to to other cities in their country), yet how many of them would likely to appear on your company’s shortlist of target locations. Such opportunities can only be found through detailed data-mining and analysis assessing the many factors that may make an SME a potential client. For instance, Aberdeen’s foreign trading SMEs fall broadly into three main sectors, reflecting its traditional heritage (fishing), its late-twentieth-century boom (petroleum and related manufacturing), and its recent history as an affluent university city (high-tech research and services). Each of these sectors in turn exports to different markets, trades in different currency mixes, and deals with different FX risk problems. So, if you’re searching for corporate customers, broaden your horizons. 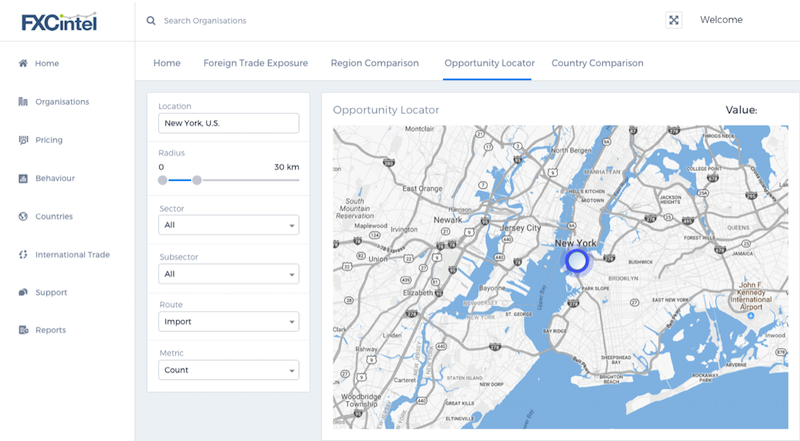 And if you’re looking for someone who is tracking all these businesses, we’d be happy to talk to you about our opportunity locator and SME tools in the FXC Intelligence portal (pictured above). Do you support crypto yet? First it was Abra, today Revolut. It seems cashing in on the global craze to “invest” in bitcoin is a much simpler business model than trying to crack global payments. Here’s what Abra’s homepage was advertising at the end of September: And here’s what they are adveristing today. 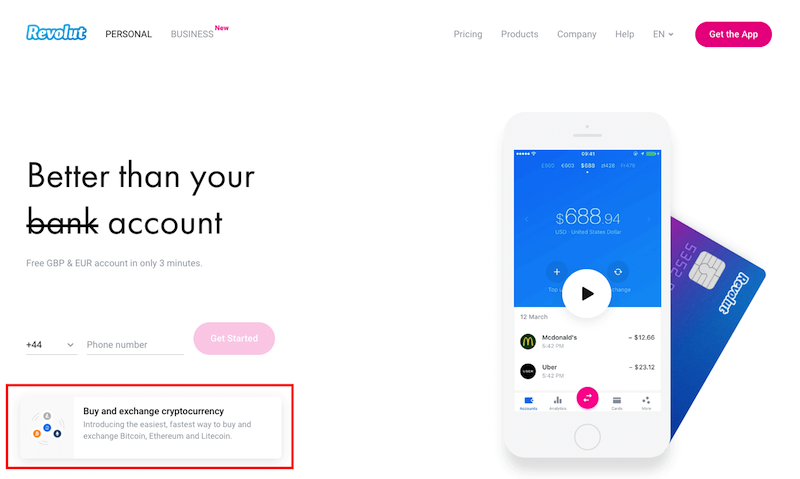 Notice the shift in the star feature being promoted: Revolut meanwhile has added a new pop-up touting the feature on their website, while their social feeds have been taken over by the crypto announcement and launch today. We love the timing – in the last article we dug into the success of Revolut’s customer acquisition but noted the challenging economics they face with a model of cross-selling other financial services. You can read that here.